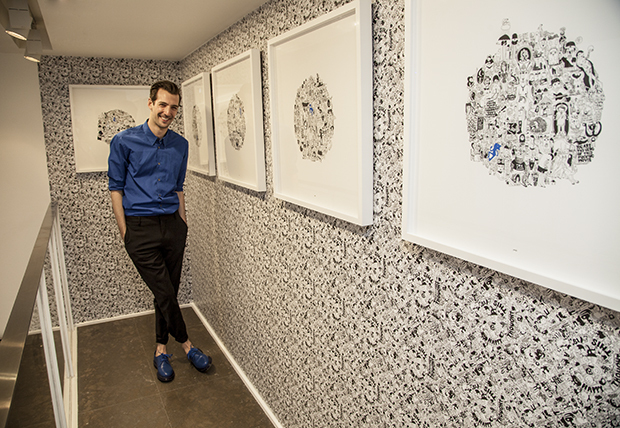 Artist AMIT GREENBERG displayed his fun and playful collection of drawings that evoque a modern cultural movement. 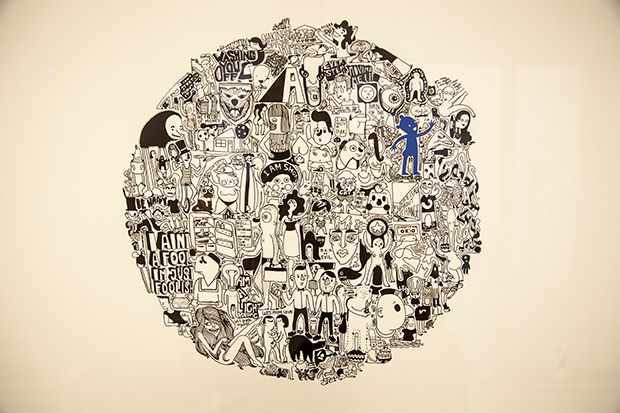 Capable to create a universe of his own, he is constantly inventing and using different messages involved in his drawings. Owner of a unique technique in drawing , this collection had a strong presence of the cobalt blue shade in each of his pieces. He is mixing the universe of the somber with the playful way of his artistic touch. 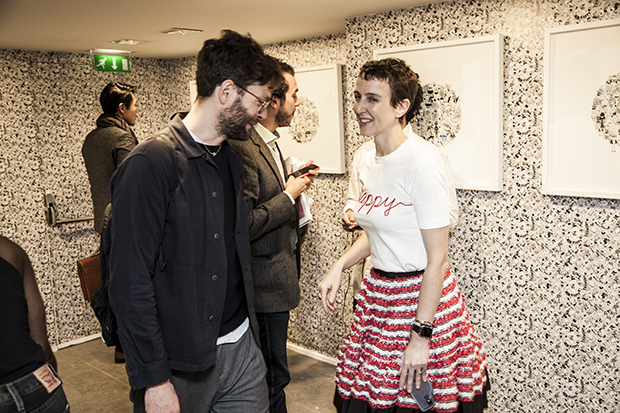 SARAH ANDELMAN, creative director Chez COLETTE. 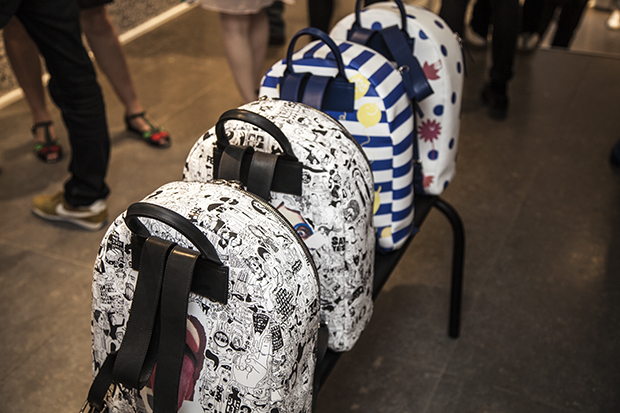 STROBLE NEW YORK backpacks designed exclusively by CHRISTIAN STROBLE for the event, show the same playful manner of the collection of drawings , and in the other hand offer the utilitarian city design for a modern urban guy/girl, the prints are so graphic and fun, and timeless in way, because they are unique.